All dogs are active and they really enjoy walking through puddles, mud, and being dirty. For humans there is nothing like snuggling with clean and nice smelling pooch, but let’s face it our dogs tend to be stinky most of the time. If you are looking for the best dog shampoo you need to ask yourself first what it will be its primary use, besides making your dog clean. Not all dogs are the same, and while some can be washed with normal shampoo some have special conditions that need to be addressed. So before you start searching for a new shampoo for your pooch ask yourself does your dog has allergies, itchy skin, or do you need a product that will help deal with fleas and ticks. There is a variety of different dog shampoos designed to help with all these problems and we are here to help you find out what may work best for your pooch. How To Find The Best Dog Shampoo? TropiClean is one of the leaders in the pet industry and their products are available worldwide. We chose this brand since they use natural ingredients and the representative for this brand is Oatmeal and Tea Tree dog shampoo for itching. This product is a great choice of dog shampoo for dry skin because of its soothing qualities and it will leave your dog smelling great. Natural salicylic and tea tree help to eliminate dandruff, flaking, and scales, which makes this a good choice for dogs who experience these problems. This natural dog shampoo will keep your four-legged friend’s skin healthy, and his coat smelling nice. With this product, you will no longer have to watch your dog’s constant scratching and you will know that now he looks and feels better. One more great feature is that this is a natural shampoo made from 70% organic ingredients in order to provide the healthier solution to your pooch’s problems. When picking this shampoo for your dog you can be sure that it is soap-free and won’t affect spot-on flea products. Ingredients listed on the bottle include purified water, mild coconut cleanser, avena sativa oatmeal, natural salicylic acid. They are combined with, organic blend of chamomile extract, aloe extract, pomegranate, extract, kiwi extract, yucca extract, and papaya extract. Hydrolyzed plant protein, fragrance, vitamin E, and tea tree are also present in a bottle made from recycled material. Overall, in our opinion, this is the best anti itch dog shampoo that will put an end to your pooch’s scratching and leave him with healthy looking skin and nice smelling coat. 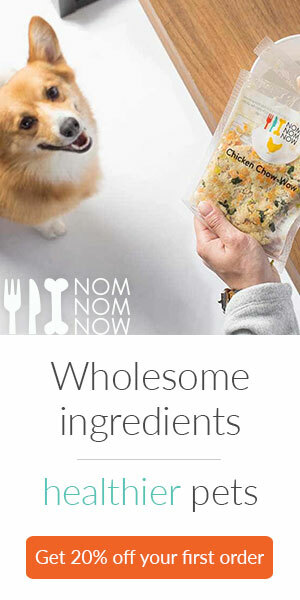 This is a fairly new pet brand that specializes in creating natural products to improve the quality of pet lives. This is the best hypoallergenic dog shampoo that has only organic ingredients to help soothe your dog’s skin. Pro Pet Works created 5 in 1 shampoo that is specially formulated to help your pet deal with flea bites, grass, and food allergies, and to soothe his dry and sensitive skin. What makes this dog shampoo for allergies stands out is that will restore natural oils, moisture, and soothe your dog’s skin. This product is made of organic aloe vera gel, organic almond oil, and vitamins A, E, and D that will nourish your dog’s skin and coat and make it healthy and shiny all over again. You will notice that this product makes your dog’s coat easy to detangle after washing which will save you time and money for taking your dog to the groomer. Also, this shampoo is formulated in a way that won’t strip your dog’s coat of his natural oils and minerals. Pro Pet Works Oatmeal formula of shampoo for skin allergies is made without paraben, soap, detergent and it’s cruelty-free. One more great feature is that this best dog shampoo and conditioner can be used combined with flea treatment and will not leave your dog without protection against parasites. Earthbath uses only organic and natural ingredients to make suitable products for pets that won’t harm their health. They have a variety of different products to fit with your dog’s unique needs and we choose their natural conditioner that is great for long haired tangled pooch’s. Oatmeal and Aloe Conditioner is made of food grade vanilla and almond extract that will detangle, enrich and revive every dog’s coat. With the inclusion of colloidal oatmeal and aloe vera, this product will also add much-needed moisture and soothe irritated skin. This product is made of purified water, vegetable-derived conditioner & detangler, colloidal oatmeal, aloe vera, organic shea butter. These are all natural and will also help dogs who have allergies and will leave their coat easy to brush after wash. Things that can harm your dog and environment aren’t included in this product, and this conditioner is made without soap, gluten, parabens, synthetic dyes and perfumes. You can use this product for all dogs that are older than 6 weeks and you should make sure that you don’t accidentally get it into contact with your dog’s eyes. Earthbath is so certain in the detangling powers of their product that they are willing to give you back your money if you aren’t satisfied. Adams creates products that will help you rid your dog of these nasty blood-sucking parasites. Flea infestations are the worst nightmare of many owners and they can cause allergies, itchy and sensitive skin. When dealing with fleas the best dog shampoo for fleas is the first step you must take in order to eradicate these insects. Adams Plus Flea & Tick Shampoo is a good formula that kills fleas in all life stages and also serves as protection against ticks. This formula contains natural pyrethrins that kill adult fleas, ticks and lice and Proctor which is an insect growth regulator that kills larvae and eggs. This is a gentle formula that will get rid of all the fleas but at the same time soothe your dog’s irritated skin and protect him for 28 days. Adams added natural ingredients like coconut extract, oatmeal, and aloe to help moisturize your dog’s dry, itchy, and sensitive skin. With this shampoo, you’ll rid your dog of fleas, gain protection, and provide much-needed care for your dog’s irritated skin. Based on the reviews this is the best dog flea shampoo and is an effective formula that contains natural pyrethrins that are a better option compared to permethrins which are the synthetic version. This dog flea shampoo can be used for dogs older than 12 weeks which is a great solution when you have infested puppies. Just remember that no matter how much effect this shampoo has, it isn’t a permanent solution so you will have to search for alternative protection. Every owner is encountered with situations when a dog is so dirty and smells bad that regular shampoos can do the job properly. In these cases it is best to use a deodorizing dog shampoo that has a stronger formula. We chose SynergyLabs and their Triple Strength formula as the best dog shampoo for smell and dirt removal. This three times stronger formula is free of chemicals and irritating fragrances and it can be used as dog shampoo for sensitive skin. Made with a variety of foaming agents and natural ingredients like aloe vera and shea butter for a healthy skin and clean coat. Besides making your dog cleanest than he’s ever been, this fragrant dog shampoo will also leave him smelling like green apples mixed with white tea. With natural ingredients and wheat protein, this formula will not be hard on your dog’s skin, instead, it will soothe and moisturize it. This formula also sports dirt repel feature that will keep your dog’s coat cleaner and odorless for a longer time. This shampoo has a good consistency and it is easy to wash off without leaving any residue. Some dogs are more prone to shedding than others and in order to keep your furniture hair free, we recomment the best shed dog shampoo. We chose Wahl and their Shed control formula because it is made from natural ingredients that are completely plant derived. This formula contains lemongrass, sage, oatmeal, and aloe vera to reduce excess shedding and dander while leaving the coat clean and refreshed. With plant-derived ingredients, this is a great choice if you don’t want to expose your dog to harsh chemicals. Wahl dog shampoo for shedding will keep your dog’s skin and coat healthy and by doing so will reduce excess shedding. This shampoo is also gentle and natural ingredients won’t irritate, dry or create sensitive skin. This shampoo has a rich lather that will keep your dog’s skin and coat healthy while making it easy to rinse without leaving any residue. Wahl didn’t include any harmful ingredients like paraben, alcohol and with a more concentrated formula you will get 70% more baths compared to other brands. Waterless shampoos were created for dogs that need a little boost of freshness in between their regular baths. With best waterless dog shampoo you can be sure that your dog will be clean and fragrant without ever getting into the bathtub. Vet Recommended is a great brand and their Waterless dog shampoo formula is made to complement your regular shampoo and keep your dog clean after mud related accidents. It is simply applied and wiped. This product is made from natural sources that are high quality, and this is an Eco-friendly company with recyclable packaging. An important thing to consider for many pet parents is that this company doesn’t test its products on animals. This easy to use and gentle formula contains deionized water, a mild surfactant blend, and apple extract. Without the use of parabens and detergents, you can be sure that your dog’s skin will stay healthy and his coat soft. Waterless shampoo won’t affect any flea and tick treatments and is made to make your dog clean in no time without jeopardizing his protection against parasites. Without phosphate and alcohol, this is a hypoallergenic shampoo and alternative for people who don’t like powdered formulas. You don’t have to worry about using this product too much because you can use it as much as you need to in order to keep your four-legged friend always clean and fresh smelling. Bodhi Dog is a family owned brand that uses only natural ingredients in order to keep your pooch healthy. We chose their Natural Oatmeal formula as the best shampoo for Pitbulls since it is gentle and good for sensitive skin. In this shampoo, you will find oat proteins, aloe vera, fruit extracts, baking soda, vitamins A, D, and E. These are great for a deep but gentle clean that will nourish sensitive skin and make it healthy again. The oatmeal formula is also a good choice for dog shampoo for dandruff, and deodorizing baking soda is great for eliminating nasty smells. This shampoo has a gentle apple fragrance to keep your pooch smelling nice. All natural ingredients in this shampoo keep the skin cooled and relieve itching and at the same time soothe the inflamed skin. This product also serves as moisturizer and conditioner for a silky skin and soft coat. Made without alcohol, detergent and other chemicals this shampoo is a good choice for dogs who have allergies and suffer from skin sensitivities. Without parabens, sulfates, or ethyl alcohol this is a safe option that won’t cause any allergic reactions and will have a calming effect on your dog’s skin while making it clean. Baking soda has antibacterial, antifungal, antiseptic, and anti-inflammatory properties, and it is an ingredient you want to see in your dog’s shampoo if he has sensitive skin. This brand is so certain in the quality and properties of their product that they offer your money back if you aren’t satisfied. Dandruff or also known as seborrhea is a skin disorder that can be caused by genetics, yeast or bacterial infection. If you notice any of these symptoms, inflamed scalp, greasy or waxy skin, red skin rashes, or scaly skin, chances are that your dog is suffering from dandruff. If your vet has diagnosed your dog with this condition then he needs to use the best dog shampoo for yeast infection if his seborrhea is caused by that. This condition has to be treated with special shampoo and one that contains antiseptics can be useful in this situation. For the best medicated dog shampoo, we chose Clinical Care antiseptic and antiseborrheic shampoo that contains coal tar, salicylic acid, and micronized sulfur. Coal tar sheds dead skin from the top layer to allow the growth of new skin cells and it can help eliminate symptoms like itching and flaking. Micronized sulfur is incorporated because it helps with inflammation and it is a great fungicide. Oatmeal and Allantoin are added to this shampoo in order to hydrate your dog’s skin and promote faster healing. We advise you to consult with your vet before you start using this shampoo on your dog because it is medicated and only should be used when a dog is suffering from dandruff, fungal and bacterial skin infections. This organic shampoo is made from high quality only natural organic ingredients and is suitable for all skin types and all dogs. Hypoallergenic formula can be used for normal, dry or skin affected by allergies. Ingredients included in this shampoo are saponified organic oils of coconut, olive, and jojoba. Natural essential oil blend of rosemary and lemongrass, organic aloe vera, and rosemary extract are also included. This is a great choice if you want to rejuvenate, nourish and protect the skin of your dog and make it healthy and recovered from dryness. Except making your dog’s coat clean this shampoo is also a great moisturizer that will make the skin look shinier, glossier and more healthy. Lemongrass and rosemary have anti-inflammatory properties that will help if your dog has allergies or is suffering from itching caused by fleas. This shampoo is appropriate for all life stages including puppies and won’t strip natural oils from your dog’s coat. 4-Legger Organic shampoo is naturally tick and has a rich foam that is easy to rinse. With only natural ingredients, this is a great choice for any type of dog and is suitable for dry, flaky, itchy and allergy affected skin. In order to find out what is the best dog shampoo for your pooch, you need to take into account his special needs before you start shopping. Every dog is different and has to have a proper skin and coat care and we will tell you what to look for in dog shampoo. Why Dogs Can’t Use Human Shampoos? You may be tempted to use your great smelling shampoo on your pooch, but although it works wonders for your hair this won’t be a good fit for your dog. Still, it won’t harm your dog if you wash him with a human made product if you’re out of his shampoo and he is in desperate need of a wash, but still this is acceptable only once in a while. – Skin pH levels: Human shampoos are slightly acidic and work well on us because our pH levels are between 5.2 and 6.2. Dogs have an alkaline skin with pH levels of up to 7.5, so frequent use of human products can jeopardize the state of their skin. – Sensitive skin: Dogs have a thinner skin than we do, they have 3-5 layers of skin compared to our 10-15 layers. That means that chemicals found in our shampoos can damage their skin making it dry, flaky, and itchy. How Often You Should Bathe Your Pooch? – For indoor dogs: These dogs don’t tend to get dirty quickly, and depending on how smelly they get they can be washed on every 2 to 3 months. If you use a great homemade dog shampoo you can bathe your dog more frequently with it. – For outdoor dogs: If your dog lives in your backyard or you like to walk him without the leash on, he can get dirty and smelly faster. This type of dogs can be bathed on every 4 to 6 weeks, and if they get really smelly in between, you can just rinse them with water or try to find the best shampoo for stinky dogs. – For double coated dogs: Labs and Huskies are examples of double coated dogs and they need to be bathed once in every 3 months or even less often. If they are bathed more often their skin can become dry and flaky since it requires more time to make oils that serve as protection. Can Something Happen If You Don’t Wash Your Pooch? Allergies: Unlike us, dogs don’t breathe in allergens, they absorb them through the skin and if you don’t bathe your dog all spores, debris and allergens will stay on his skin. This can cause a serious problem that can be resolved only with the use of the best dog shampoo for itching allergies. We advise you to bath your dog depending on his lifestyle even if he isn’t smelly or very filthy, skipping baths can lead to problems and pursuit for the dog shampoo for itchy skin. What Are The Different Types Of Shampoos? In order to make sure that your dog will leave the bathtub not only smelling great and clean but also with a healthy skin, you need to know that there are three types of dog shampoos. Some of them can lead to dry or flaky skin and it is important to find the best dog shampoo that will work for your pooch. – Chemical-based shampoos: Are often cheapest and since they are made from chemicals in some cases they do more harm than good. They provide more lasting scent and are good at killing bacteria but if used often can cause dry and itchy skin. – Natural dog shampoos: According to the FDA term natural doesn’t have any legal obligation so products labeled as this still can contain chemicals. Not all companies will use them in their products but it is advisable to read labels carefully to see what ingredients are used. – Certified organic dog shampoos: Must contain only natural ingredients that are grown without the use of fertilizers and insecticides. This type of product is less likely to cause any allergic reactions in your pooch. Now that you know more things related to this topic, you are probably wondering what’s the best dog shampoo that will suit the unique needs of your dog. We will now proceed with the review part where we included a representative for 10 different types of shampoos designed to keep your dog’s skin and coat healthy and shiny. Not all dogs have the same type of skin and not all of them can use just any shampoo, but with so many products available it can be hard finding just the one for your pooch. With shampoo representatives for 10 different skin problems, out guide provides a choice for the best dog shampoo suitable for every skin problem. Great looking, soft, shiny coat and healthy skin are the signs that your dog is healthy and happy. So don’t wait any longer, and change your dog’s shampoo for the one that will make him look and feel great.